A frank collection of anecdotes and adventures that puts the current state of our National Park system in fresh perspective. For twelve years, Andrea Lankford lived in the biggest, most impressive national parks in the world, working a job she loved. She chaperoned baby sea turtles on their journey to sea. She pursued bad guys on her galloping patrol horse. She jumped into rescue helicopters bound for the heart of the Grand Canyon. She won arguments with bears. She slept with a few too many rattlesnakes. Hell yeah, it was the best job in the world Fortunately, Andrea survived it. In this graphic and yet surprisingly funny account of her and others' extraordinary careers, Lankford unveils a world in which park rangers struggle to maintain their idealism in the face of death, disillusionment, and the loss of a comrade killed while holding that thin green line between protecting the park from the people, the people from the park, and the people from each other. 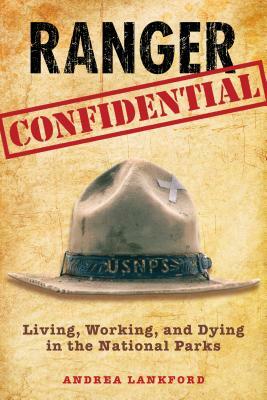 Ranger Confidential is the story behind the scenery of the nation's crown jewels--Yosemite, Grand Canyon, Yellowstone, Great Smokies, Denali. In these iconic landscapes, where nature and humanity constantly collide, scenery can be as cruel as it is redemptive. Andrea Lankford is a former national park ranger and the author of three books, including Haunted Hikes: Spine-Tingling Tales and Trails from North America's National Parks, which was featured in USA Today, chosen by People as a 2006 Travel Pick, and described by Newsday as "spell-binding." Her articles have appeared in USA Today, Arizona Highways, and Backpacker.